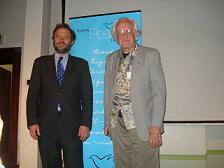 A lecture delivered by Professor Stephen Zunes during an event that took place on 7 July 2010 as part of the Fringe Program of The International Peace Research Association (IPRA) conference 2010 which was held in Sydney (Australia) on 6-10 July 2010. The event was under the title: “Self-determination, 50 years on: Conflict Resolution in the Struggle for Self-Determination” The theme for the event was the issue of self-determination with Western Sahara as an example of where peace perspectives are urgently needed. Professor Stephen Zunes is Professor of Politics & International Studies and Chair of Middle Eastern Studies Program at the University of San Francisco. This entry was posted in Human Rights, Political issues on July 26, 2010 by appleton. This entry was posted in Fisheries exploitation, Political issues on July 25, 2010 by appleton. Condolence messages were sent from Australian parliamentarians and from the President of Australia Western Sahara Association on the passing of Mr Mahfoud Ali Beiba, President of the Saharawi Parliament. This entry was posted in General, Political issues on July 25, 2010 by appleton. The authors of this report argue that the violations against the Saharawis by Morocco may constitute crimes against humanity. Moreover they suggest that the international community should act as soon as possible to end Moroccan impunity and to make greater efforts for a just and lasting solution of the question of Western Sahara. This entry was posted in Human Rights, Political issues on July 10, 2010 by appleton. 32 parliamentarians from Finland, Sweden and Denmark today requested the Ministers of Foreign Affairs of their countries to prevent renewed EU fisheries in occupied Western Sahara. This entry was posted in Fisheries exploitation, Political issues on July 10, 2010 by appleton.